and the environment, says IEA. 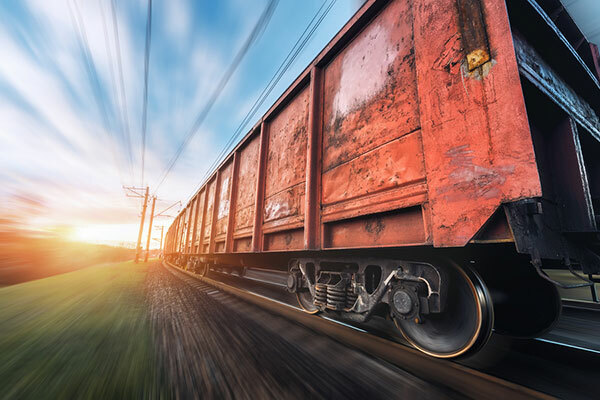 Rail is among the most energy efficient modes of transport for freight and passengers, yet is often neglected in public debate, said the International Energy Agency (IEA) in a new report. “The Future of Rail” is the latest in the IEA series shining a light on “blind spots” in the energy system, which are issues that deserve more attention from policymakers. It was released today in New Delhi by IEA executive director, Dr Fatih Birol, at an event opened by India’s Minister of Railways, Piyush Goyal. The transport sector is responsible for almost one-third of final energy demand, nearly two-thirds of oil demand and nearly one-quarter of global carbon dioxide (CO2) emissions from fuel combustion. Therefore changes in transportation are fundamental to achieving energy transitions globally. While the rail sector carries 8 per cent of the world’s passengers and 7 per cent of global freight transport, it represents only 2 per cent of total transport energy demand, highlighting its efficiency. The Future of Rail includes a Base Scenario that projects the evolution of the railways sector to 2050 on the basis of announced policies, regulations and projects. It also includes a High Rail Scenario to demonstrate the energy and environmental benefits of a more significant shift of passengers and goods to rail transport. While the High Rail Scenario requires about 60 per cent more investment than in the Base Scenario, global CO2 emissions from transport peak in the late 2030s, air pollution is reduced and oil demand is lowered. The report includes a specific focus on India. “Rail serves as a vital lifeline of India, playing a unique social and economic role,” said Dr Birol. Rail remains the primary transport mode in the country, providing vital connections within and between cities and regions, and guaranteeing affordable passenger mobility that has long been a government priority. Rail passenger traffic in India has increased by almost 200 per cent since 2000 yet prospects for future growth remain bright. Construction has started on India’s first high-speed rail line, the total length of metro lines is set to more than triple in the next few years, and two dedicated freight corridors are on track to enter operation by 2020. In all countries, including India, the future of the rail sector will be determined by how it responds to both rising transport demand and rising pressure from competing transport modes. Rising incomes and populations in developing and emerging economies, where cities are growing exponentially, are set to lead to strong demand for more efficient, faster and cleaner transportation, but the need for speed and flexibility tend to favour car ownership and air travel. Rising incomes also drive demand growth in freight, where higher incomes, have sharply increased demand for rapid delivery of higher value and lighter goods.